Listing courtesy of Landmark Realty Group – St. Lo. At last, a home for the most discerning Buyers. You’ll want to put this MUST SEE property at the top of your tour list as it represents an outstanding value & is priced to sell. This 3 bed / 2.5 bath ranch is very clean & extremely well maintained w/ many wonderful updates. The desirable location & attractive curb appeal will have you sold before you step through the door. Inside you x2019;ll find a welcoming open floor plan w/ over 1,800 sqft of finished living area. The kitchen is sure to please w/ an abundance of cabinetry & counter space, ceramic flooring & breakfast bar. You x2019;ll love the gorgeous wide-plank wood flooring & cathedral / vaulted ceilings. Don x2019;t miss the part finished lwr lvl w/ new carpet & 1/2 bath. Addl features & updates include brick & vinyl exterior, enclosed soffits & fascia, newer furnace, gorgeous plantation shutters, updated baths & fresh interior paint. 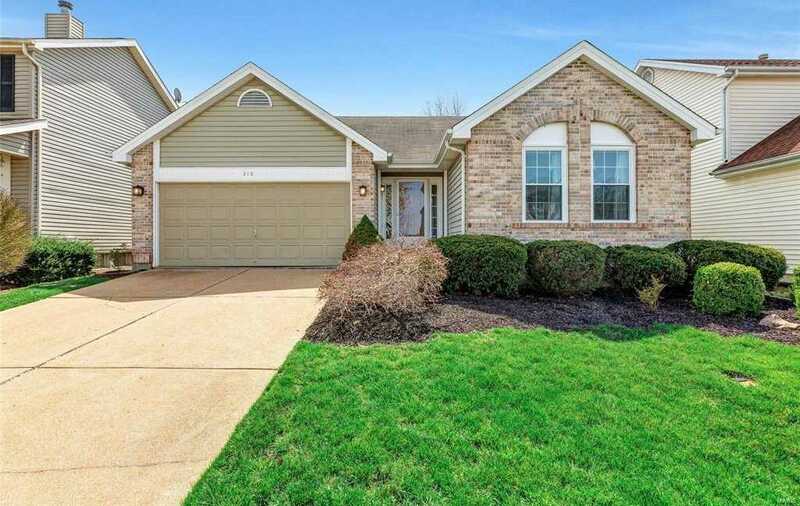 The neighborhood pools, tennis courts & Rockwood Schools complete this total package. Schedule your tour TODAY!